The Julie Andrews celebrity doll is depicted as Mary Poppins from the Disney film classic. 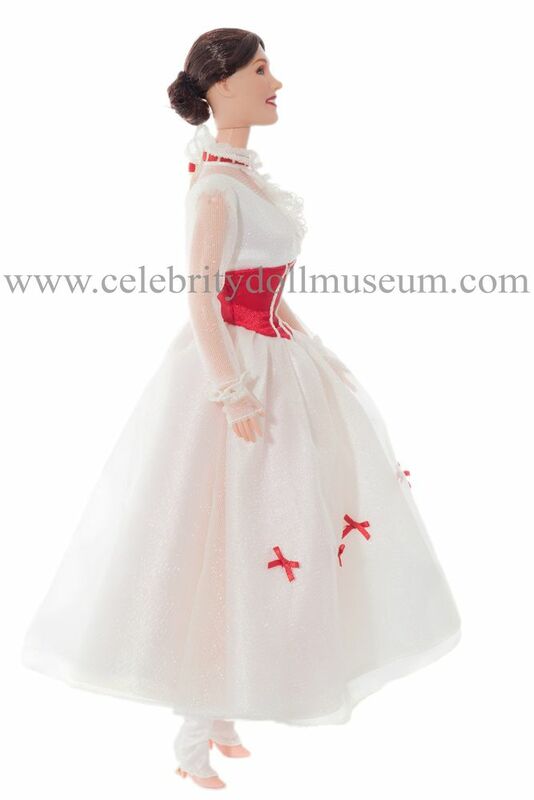 It was manufactured in 1999 by Mattel as the Jolly Holiday Edition Mary Poppins from the Mary Poppins Collection. 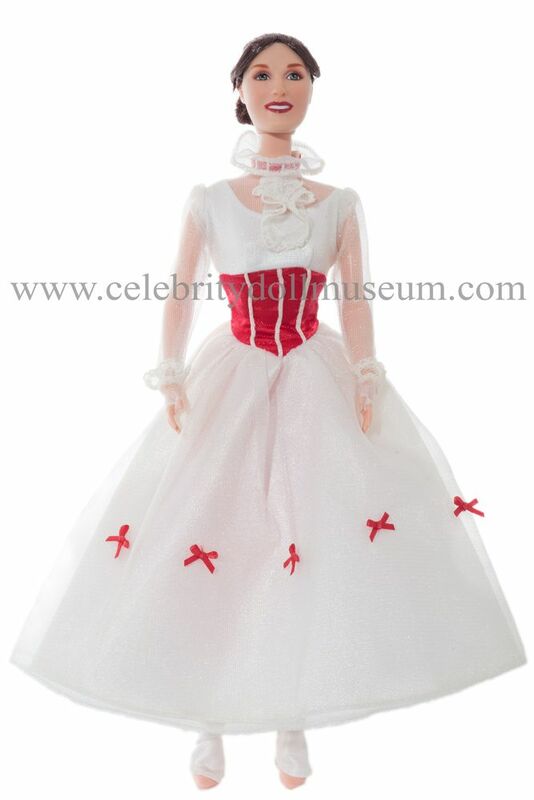 The doll is dressed in a lacy layered white dress decorated by red satin ribbons, waist line, and collar. A pink slip is underneath. 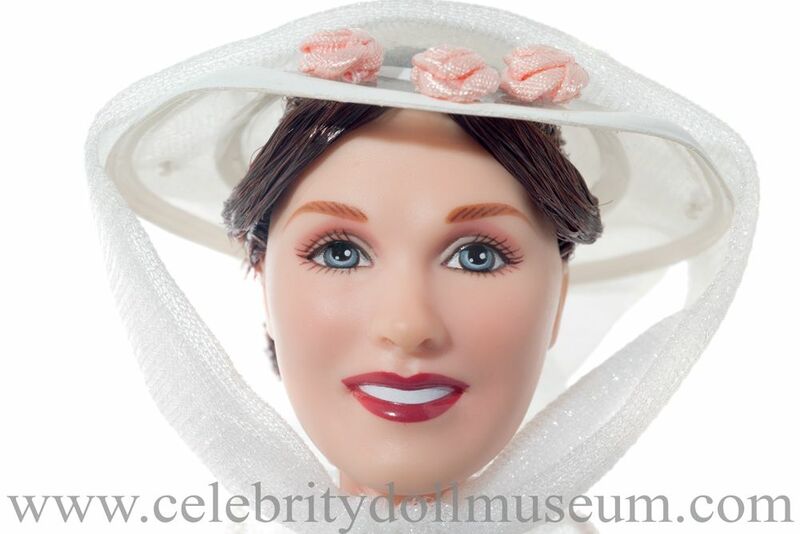 A matching white hat with 3 pink roses and a netting tie covers the heavily hair-sprayed Mary Poppins bun hairstyle. The hat comes attached to the head with white plastic ties that have to be cut to remove the hat. 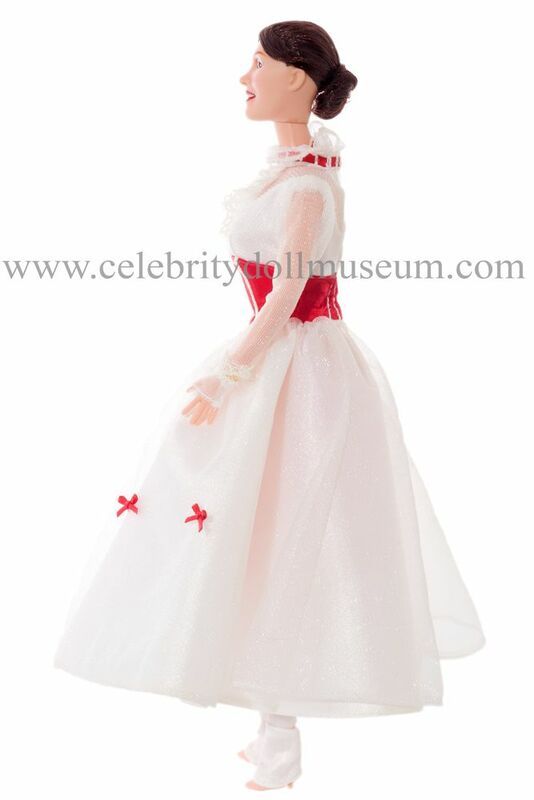 The shoes are pink high-heels with white satin spats on top and cotton white socks underneath. 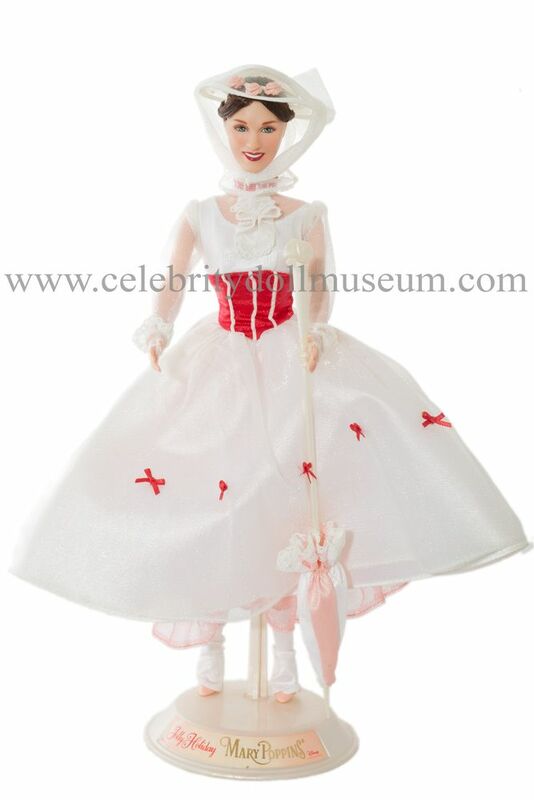 The doll comes with a matching pink and white lacy parrot umbrella that does not open. 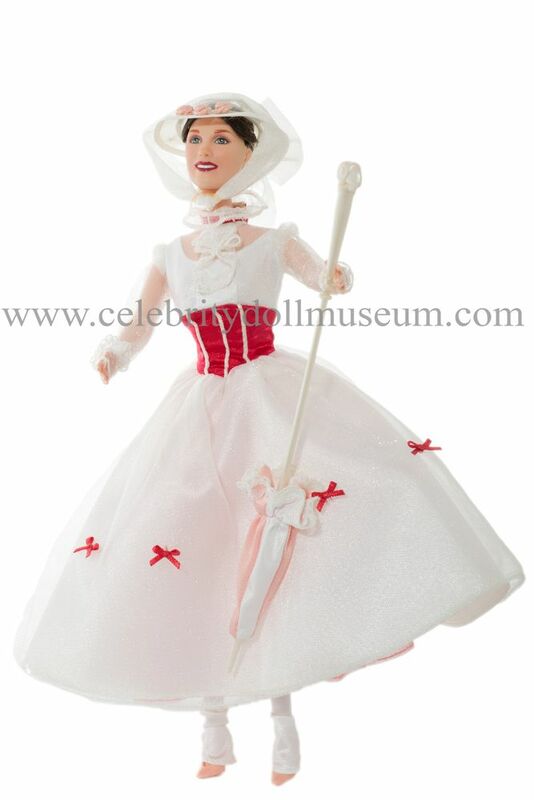 A Mary Poppins doll stand is also included.